Being a leader is today considered synonymous with being a winner. This book punctures that misguided myth and it will liberate you from others’ expectations and from your own illusions about success. This book is a practical manual for leading the right way and for the right reasons. It explores how to identify and overcome the blind spots that may be hurting your career; whether you have the right mindset for the kind of success that you re seeking; how to develop just the right amount of healthy ego to make an impact; and how to make an impact on the world in a way that’s true to who you are (be forewarned, this might involve a completely different path than your current one). This book will take you on a journey, showing you famous figures from history and the present some who got it right, and some who didn’t. 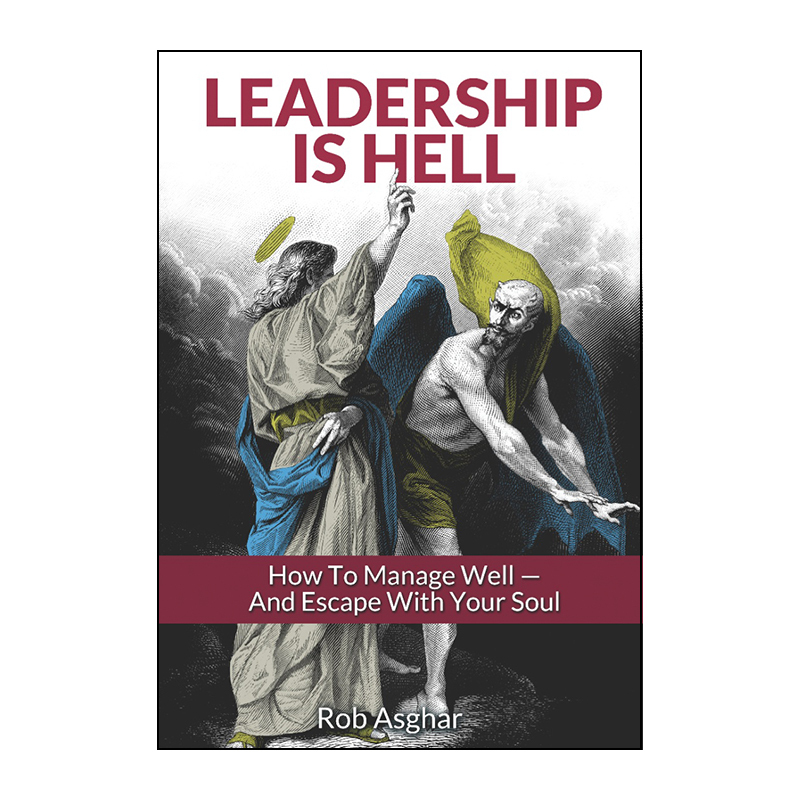 You’ll look at seven roads to hell within the world of leadership, and seven roads out of hell, to guide you safely to a meaningful legacy. All royalties support the University of Southern California’s Neighborhood Academic Initiative to prepare local urban schoolchildren for college. Rob Asghar is a University Fellow at the University of Southern California's Center on Public Diplomacy, a member of the Pacific Council on International Policy and a regular contributor to Forbes.com. His essays and commentaries have appeared in more than thirty publications around the world, including the Chicago Tribune, Christian Science Monitor, Wall Street Journal, Houston Chronicle, Manila Times, and Japan Times.